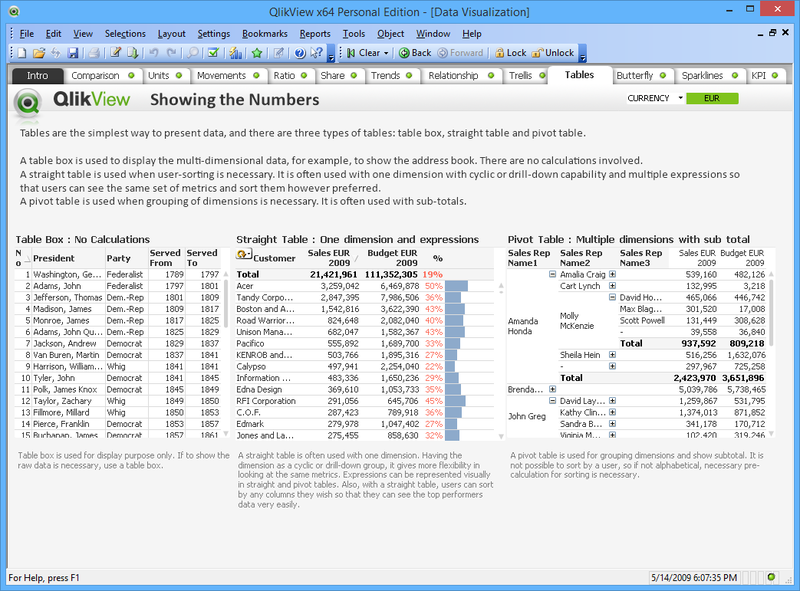 + Delightful search capabilities called “associative” filtering allows research through mounds of new data in visually intuitive ways. 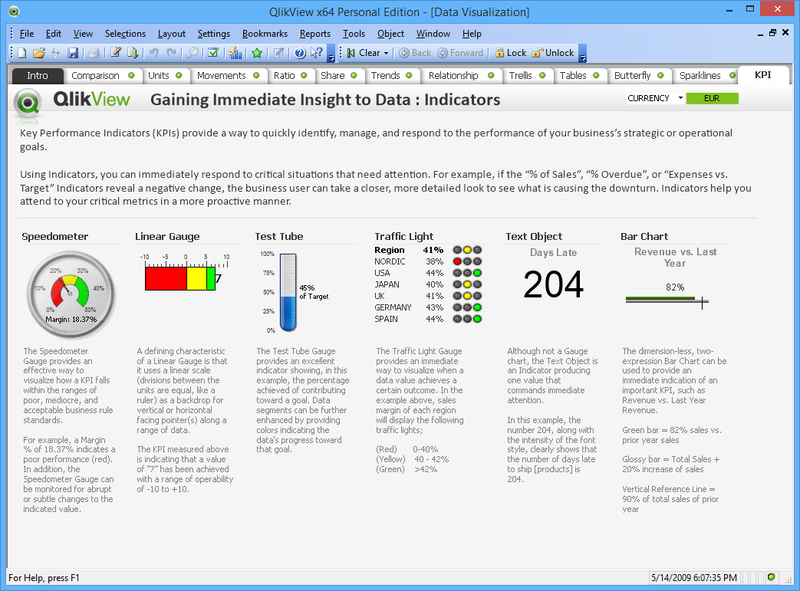 + Powerful scripting and development capabilities for complex dashboards. 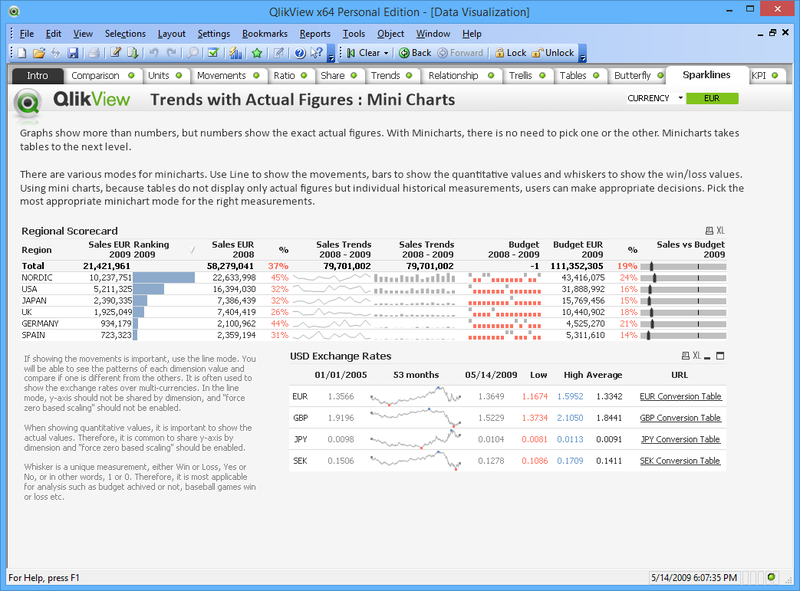 + If you are an Excel guru or want a development environment behind your analysis, this is a good tool to explore. 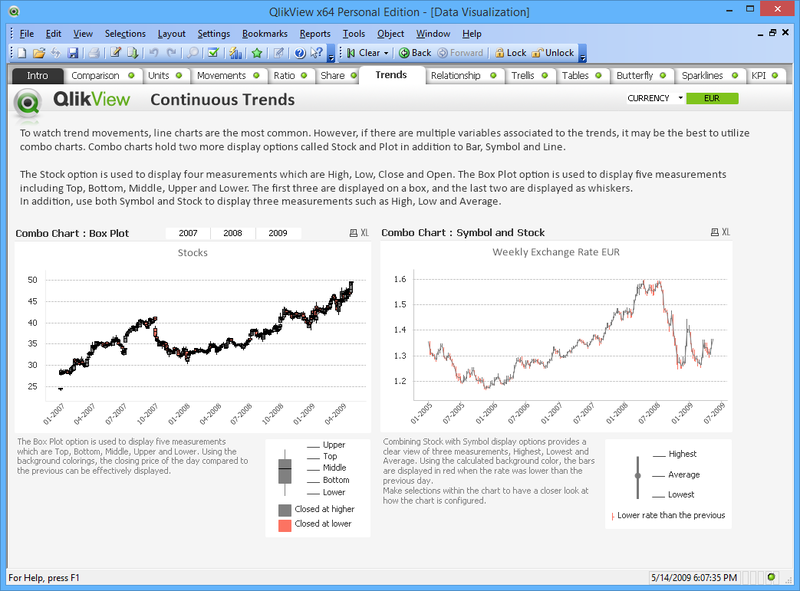 + Easily handles access to disparate data sources in a single analysis. For example, if the data for an analysis is across 3 different systems, QlikView can access all three and use them as one data source in your analysis. 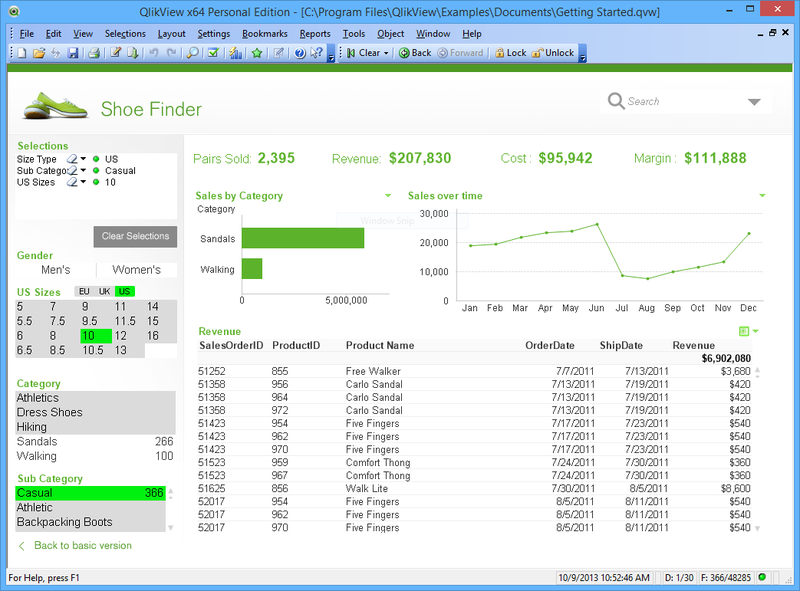 + This is the closest product to the power of developing web pages for custom data presentation. 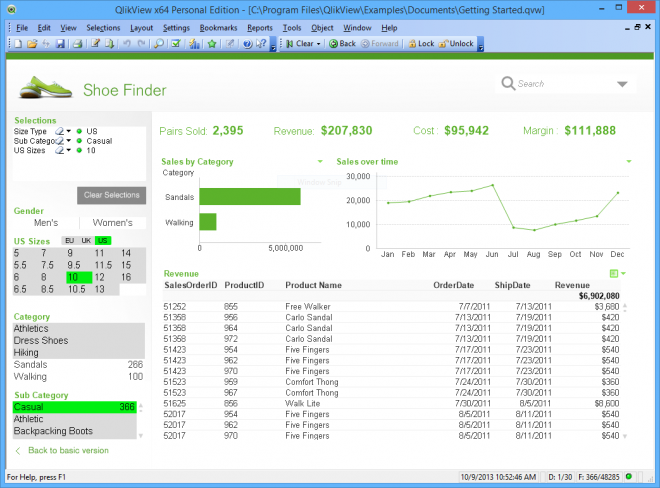 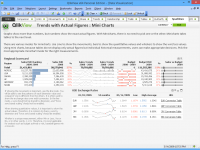 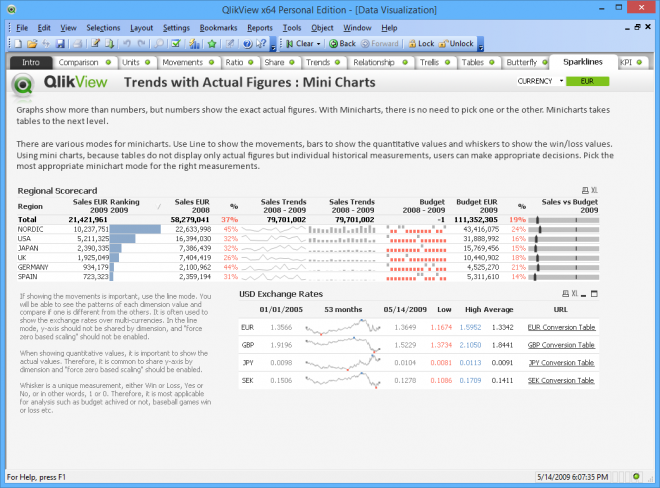 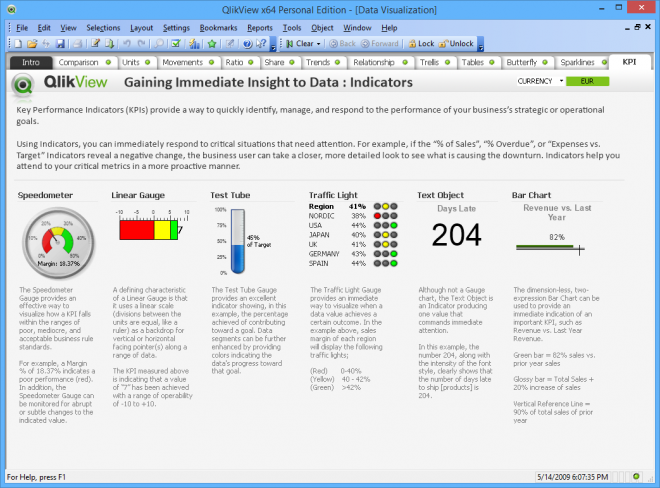 QlikView includes a wide range of KPI indicators and is capable of creating compact reports, pivot tables and graphical tables along with powerful user controls.